I was a little surprised that more labs have switched to using chromogeneic agar plates than use non-chorogeneic agar plates. In the case of our lab in London, we are currently using non-chromogenic media for clinical samples, but in the process of evaluating chromogenic media. Although the purchase costs of chromogenic media are higher, they are more sensitive and substantially reduce the amount of time required to confirm a negative or positive culture, so I suspect they actually work out cheaper when you factor in labour costs. 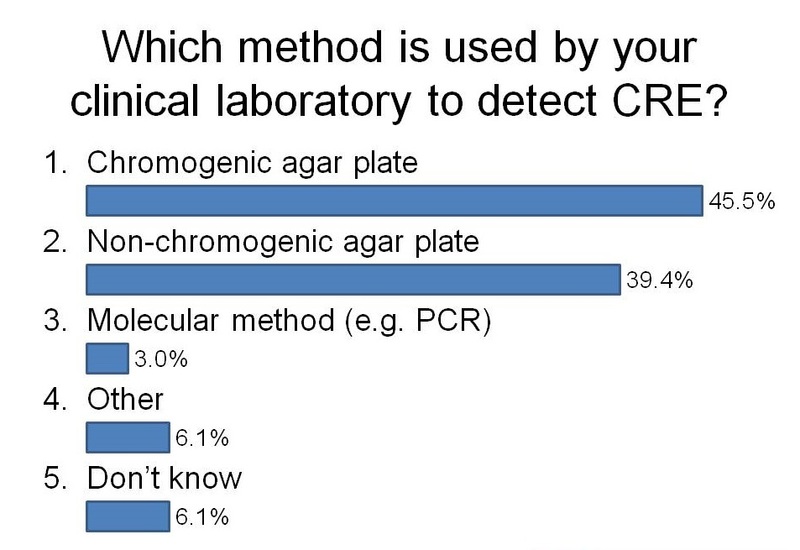 ← Diagnosis of CRE: time to throw away those agar plates?